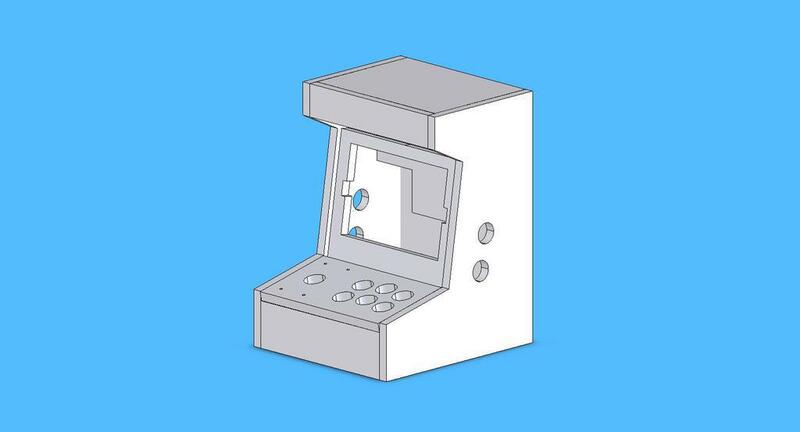 I get a lot of requests for my Porta Pi Arcade CAD drawings. They are not for sale. 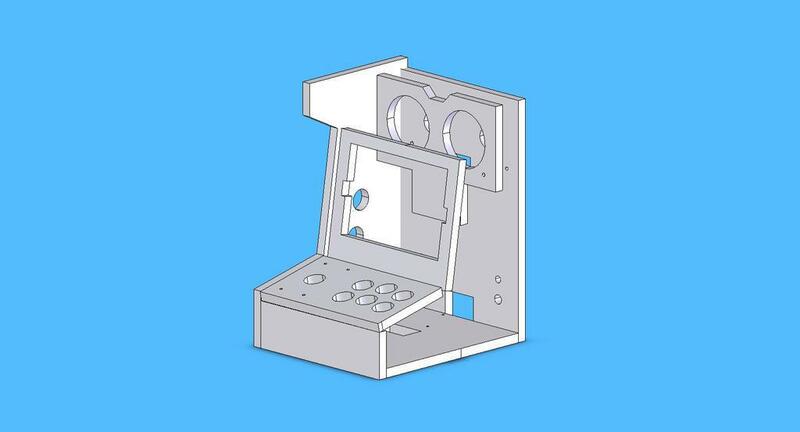 But, here are some super simplistic plans I drew for those who really want to build their own mini arcade with a tight budget. The overal size is 13.25 x 10.5 x 9.5 inches. 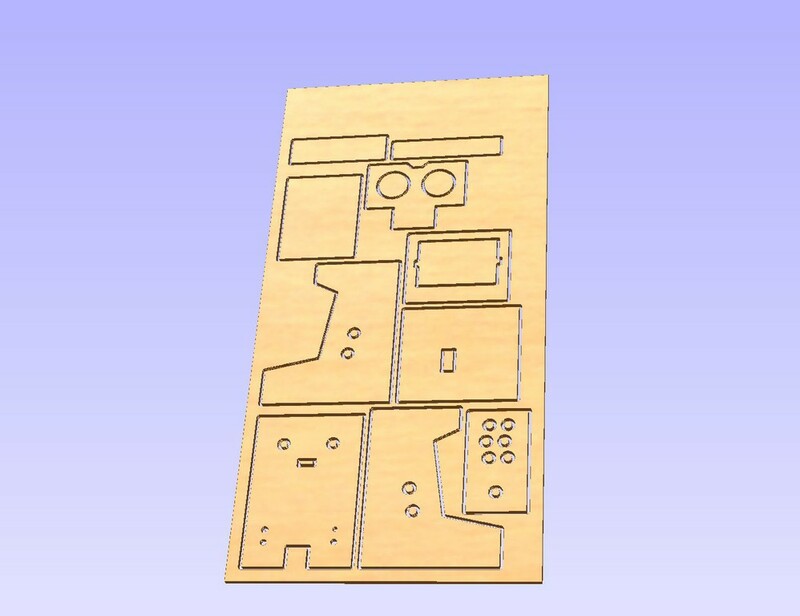 The design will fit on one 2x4 ft sheet of half-inch plywood/mdf. The monitor cutout is for this type of monitor which accepts composite video. It is very common and available by many sellers; I just picked one at random. I used this type of screen for the Porta Pi proof of concept. 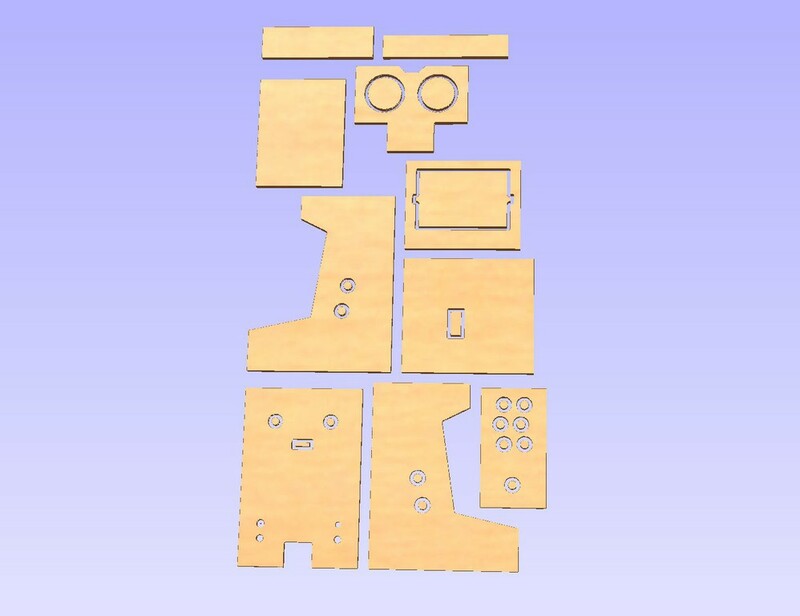 It's a very simple design, suited for a jigsaw and circular saw/table saw. A buttons holes are 1.125". This is a standard hole-saw size. 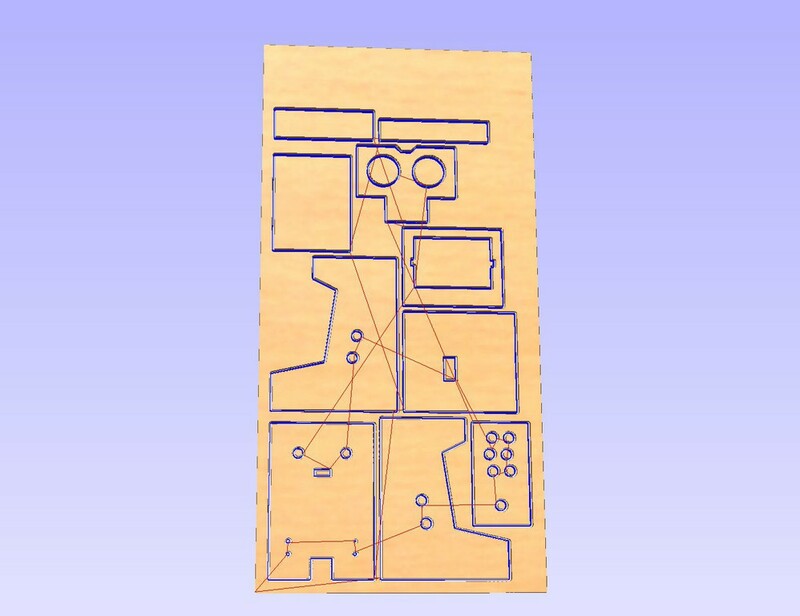 Print the pdf tempate at 100% scale, lay it out on the plywood, tape and cut. 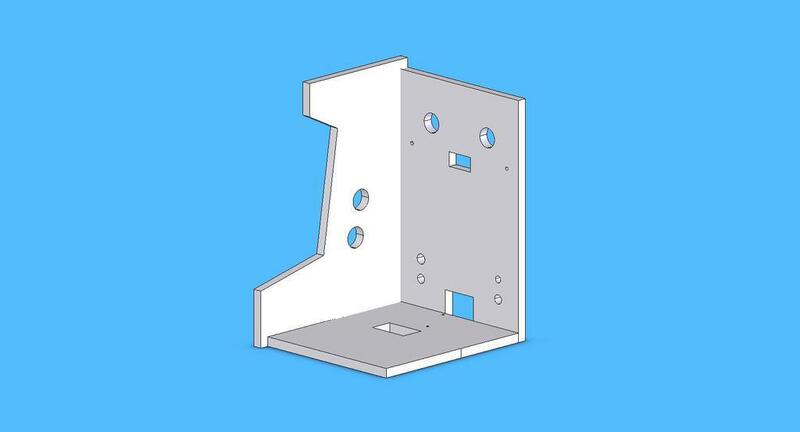 Of course, you can use any other method you'd like.... Use the dxf file and make a CNC toolpath. Note: These plans are not to be sold, rebranded or distrubed in any form without my consent. This includes the design in CAD or cut form.